Plan to join in the festivity of St. Jacobs Sparkles, a much-anticipated four-day annual celebration to kick-start the holiday shopping season in the village of St. Jacobs. Throughout the town, merchants throw open their doors and roll out the welcome mat. Some offer once-a-year savings and in-store promotions, others greet you with festive goodies or special music, and everywhere, good old-fashioned cheer and a festive atmosphere abounds. 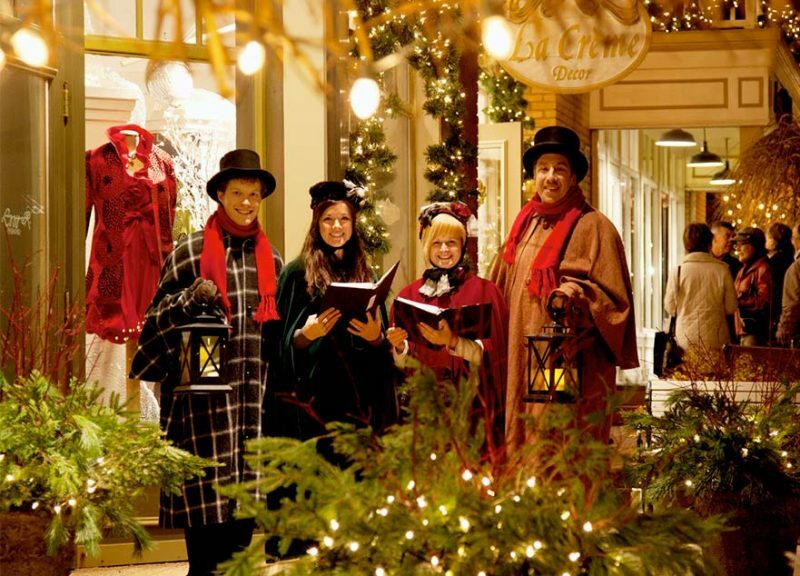 Elsewhere in the village, step aboard a free horse-drawn trolley as it shuttles shoppers and, listen for the strains of wandering Victorian Carollers, warm up with hot sweet apple cider at the volunteer firefighter’s burn barrel, or enjoy dinner at Jacob’s Grill or Stone Crock. Perhaps best of all, this is your chance to shop into the night amid thousands of twinkling lights as stores offer extended shopping hours to 9 p.m. on both Thursday and Friday of the event, and until 6 p.m. on Saturday and Sunday. Come be our guests in this little village that’s big on preserving the old-fashioned charm of its early-Ontario heritage, while fostering originality and uniqueness in its one-of-a-kind shops, restaurants and craft brewery. For more information, visit St. Jacobs’ website.